In our first segment, we left our illustrious hero with the Lustron company at its peak - everyone was clamoring for the Lustron Dream. 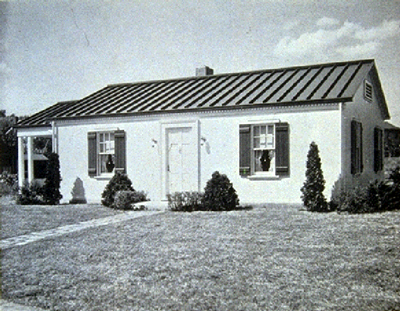 In 1934 the Insulated Steel Construction Company produced a unique home created out of steel units which could telescope horizontally to adapt to flexible house plans, utilizing a standard steel component. 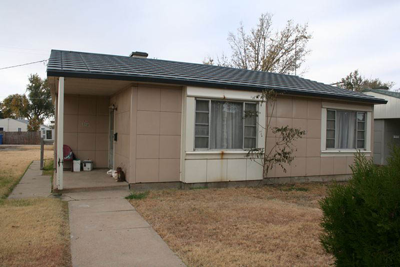 By 1935, the majority of the prefabricated housing companies were utilizing steel in their designs. 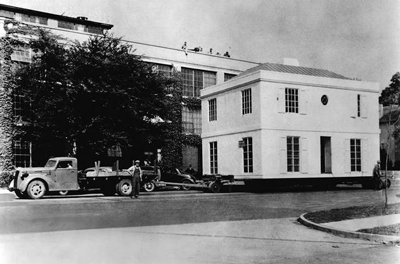 Perhaps the most elaborate steel house came from the Hobart Welded Steel House Company of Troy, Ohio, who in 1937-38 produced all-steel, one piece houses which were transferred to sites using a truck and trailer. Steel was an exceptionally strong and enduring material which allows for such construction. After the war, in the same climate in which Strandlund began the Lustron Corporation, almost 300 companies arose under the support of the government housing stimulus package. The majority of these firms also dealt in prefabrication. Out of these 300 companies, the government chose only to support three, but Lustron was the benefactor of the majority of the government’s money, the company in which the United States government placed their faith. Although Carl Strandlund had been hailed by Life magazine as the “…prophet of factory mass production in housing,” he was not the first to incorporate steel into the vision of residential construction. Metal houses were being produced after the first World War but were treated as novelties. Standard housing was still inexpensive, and there was still plenty of housing stock to meet demand. 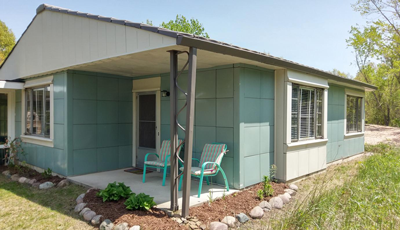 However, in the time preceding World War II, housing was starting to become more of a scarce commodity, and many new experimental prefabricated housing companies began to surface around the country. 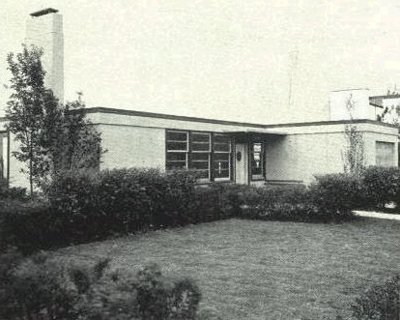 As early as 1932, General Houses of Chicago was producing small, prefabricated units using steel construction as well as utilizing the metal as a finish material both inside and out. However, they later switched to using a steel frame with interior and exterior panels made of more traditional materials. 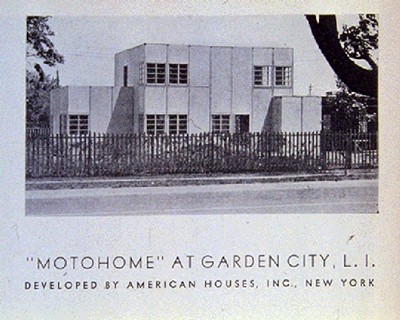 Also in 1932, American Houses began construction of their, “Moto-home” unit which was constructed with a steel frame, but also used wall panels made of more traditional materials. By 1933 more than a dozen companies working with prefabricated steel housing exhibited models at the Century of Progress Exposition in Chicago. 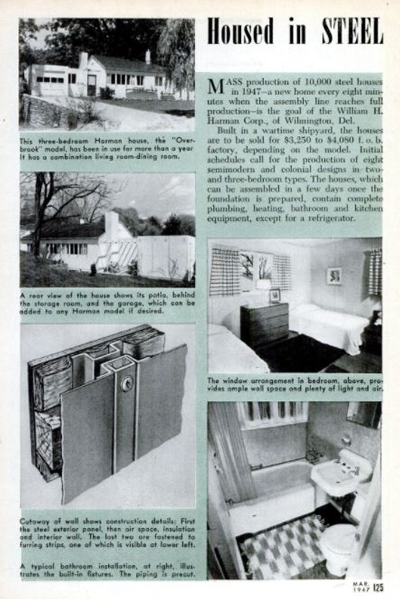 The mass-produced Harmon House from the March 1947 issue of Popular Science. 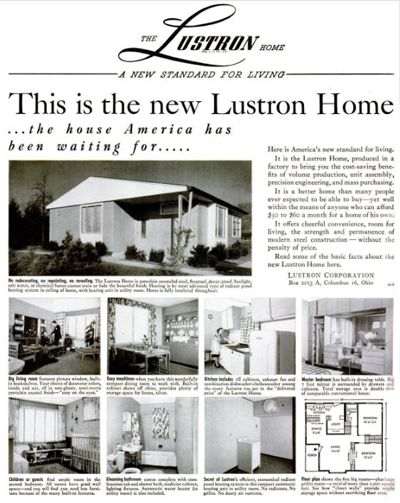 None of the other housing manufacturers received as much attention as the Lustron Corporation. The government had invested $15.5 million in Carl Strandlund’s dream, and would soon invest even more in what they thought could be the answer to the housing crisis. Unfortunately, problems were evident with the Lustron corporation almost from the beginning. The original $14.4 million investment by the RFC was under scrutiny by the Banking and Currency Subcommittee. The loan was reportedly given to Carl Strandlund and the Lustron Corporation without proceeding through the normal approval process. Strandlund himself had only invested $1,000 of his own money in the company but had a controlling share of the Lustron stock with 51% in shares. In addition, Carl Strandlund had never filed a financial statement with the RFC, yet another qualification typically necessary for a loan. one of the other housing manufacturers received as much attention as the Lustron Corporation. The government had invested $15.5 million in Carl Strandlund’s dream, and would soon invest even more in what they thought could be the answer to the housing crisis. Unfortunately, problems were evident with the Lustron corporation almost from the beginning. 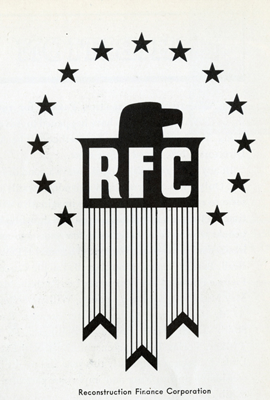 The original $14.4 million investment by the RFC was under scrutiny by the Banking and Currency Subcommittee. The loan was reportedly given to Carl Strandlund and the Lustron Corporation without proceeding through the normal approval process. Strandlund himself had only invested $1,000 of his own money in the company but had a controlling share of the Lustron stock with 51% in shares. In addition, Carl Strandlund had never filed a financial statement with the RFC, yet another qualification typically necessary for a loan. The original agreement between the RFC and the Lustron Corporation was for the initial $15.5 million load, Strandlund and his company were expected to raise an additional $2.5 million with the sale of capital stock. However, only $850,000 was secured, quite a bit lower than the original agreement. Other difficulties included lack of steel. Although the government had promised the Lustron Corporation all the steel that it would need to meet production, the shortage of the metal proved prohibitive. 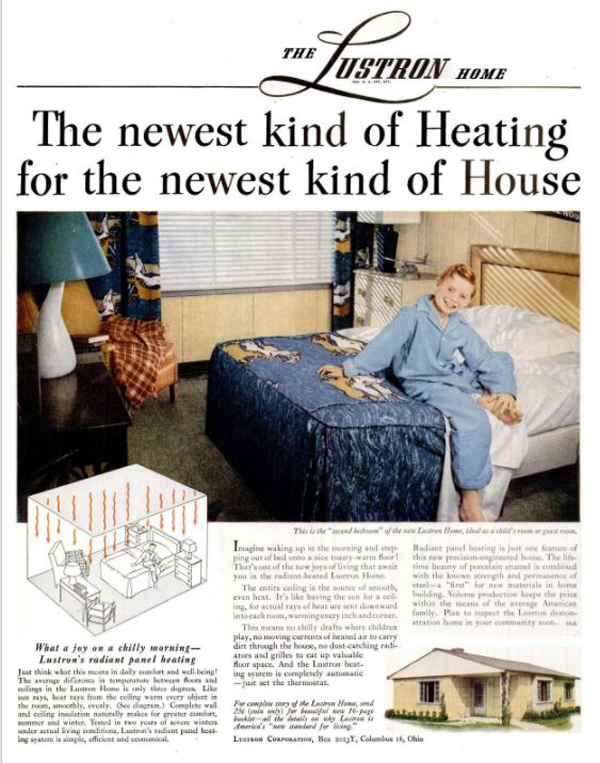 By August of 1948 Lustron still had no steel to begin manufacturing the houses and had only been able to produce seven model homes in a year. The Department of Commerce shortly thereafter approved a national allocation of 58,000 tons of steel, of which 45,000 tons would be sent to Lustron. However, other companies which depended upon steel allocation for their businesses, for example, bathtub and automobile manufacturers, were upset that Strandlund was receiving so much of a rare commodity and protested in Washington. The Lustron Corporation also had to find the funding to purchase the large assortment of expensive machinery required to produce the Lustron house. This additional working capital was originally supposed to come through a Federal Housing Administration guaranteed loan, but the loan did not come through. The Reconstruction Finance Corporation sunk themselves deeper into the Lustron dream by loaning the corporation another $10 million. This time the loan went completely unsecured. 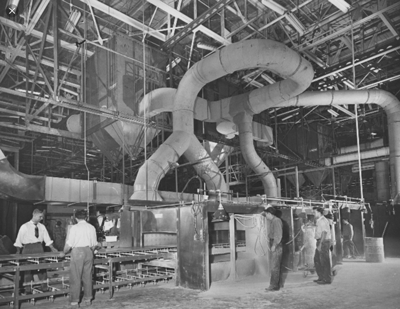 With the required machinery, Lustron hoped to turn out 150 to 180 homes a day at peak production, which added up to over 500,000 tons of steel annually. The allocation of 45,000 tons of steel to Lustron meant that their peak production could only reach about 40 per day, well under the capacity of the plant. Lustron’s break-even point was between 30 and 50 houses per day, precisely what the steel allocation would allow them to do. However, the first load from the RFC was to come due in March of 1949 and had to be paid back at a rate of $1.2 million per month with 4% interest on the loan; money which Lustron would not have until they were able to produce houses in excess of the break-even point. Elaborate machinery at the plant stamped out all of the thousands of pieces of steel that made up a Lustron home, down to bathtubs and window lintels. Life Magazine two page spread in the November 15, 1948 issue touting full volume production. Other problems plagued the company as well. Although the idea of utilizing a dealership organization to market the housing to the public seemed the best way to meet sales needs, there were many complications involved. At the beginning of the Lustron dream, dealerships were not able to meet the demand of customers. 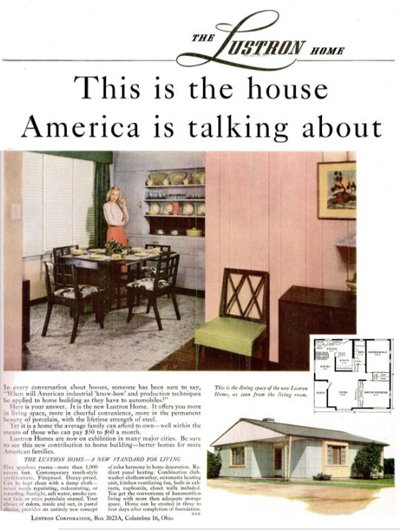 Many had visited the model homes in cities throughout America or had seen the full-page ads in some of American’s best-known magazines. They were ready for the Lustron house, but the plant was not ready to produce. Production was backed up several months, and dealers tried to give back the down payment customers had already paid in anticipation of their homes. However, more than half of the customers refused to take their money back. 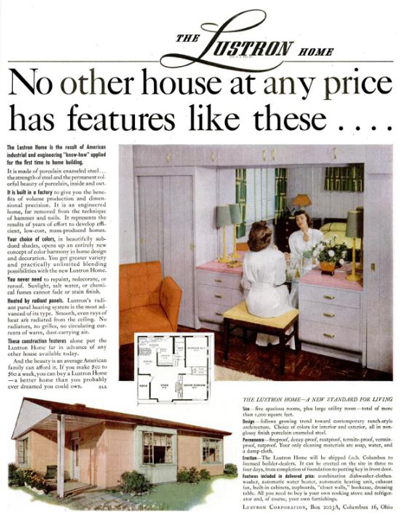 Even with the tremendous backup in production, the Lustron house was selling quickly, even while traditional houses were standing vacant. Other problems stemmed from building codes and mortgage companies which were based on traditional housing types. Lustron dealers dealt one on one with local building inspectors, pouring over blueprints and answering questions from the curious inspectors. 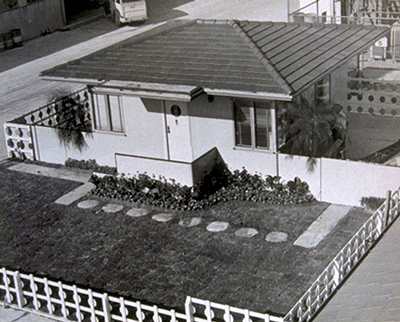 In most cases with some perseverance, building codes were changed or bent to allow for the Lustron home. Mortgage companies, on the other hand, added points to Lustron mortgage rates. This meant that a five percent mortgage was increased to six-and-a-half percent, putting the Lustron owner at a disadvantage. The rate hike was a direct response to the unknown element surrounding the Lustron concept. The houses, originally thought to be sold for $7,000 to $9,000 began to escalate to $11,000 and $12,000 putting them out of the affordable housing range. The Lustron Corporation had not figured in the varying prices across the country for necessities such as labor and utilities. 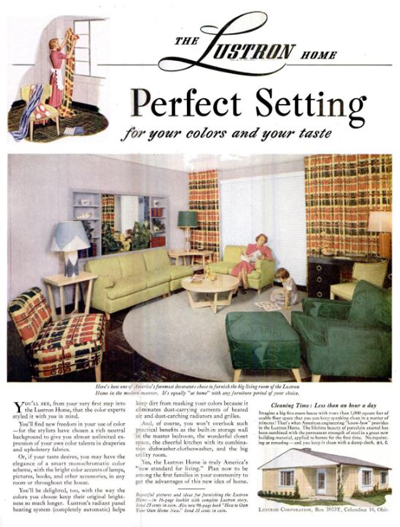 In addition, the Lustron home was such a new product that local laborers were not familiar with its assembly. Although each Lustron house came with a detailed, illustrated instruction manual, it sometimes took upwards of 1,000 man-hours for an inexperienced team to assemble, almost three times the Lustron prediction. In this January 31, 1949 article in Life Magazine, Carl Strandland was one of several executives invited to a round table to discuss how to fix housing in the United States. 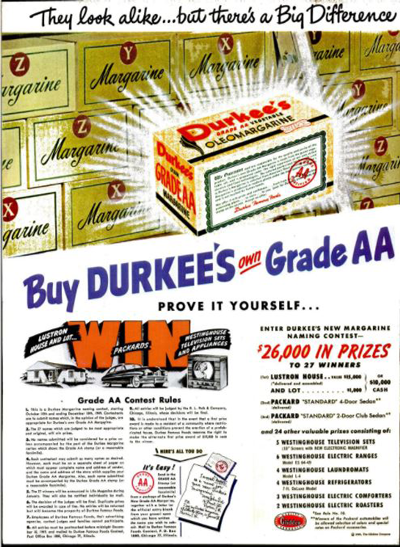 As late as November of 1949, Durkee’s was advertising a contest where the prize for first place was a lustron house and lot. The Lustron plant was eventually able to produce their homes at a higher rate, over 250 a month, but instead of lessening the financial burden, it led to more problems. 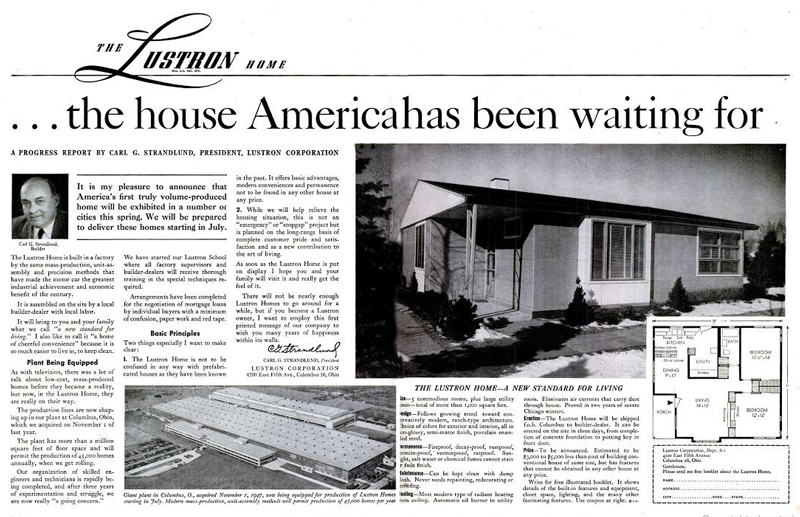 In order to receive each shipment, Lustron dealerships were required to put money up front to cover the cost of the house as well as the cost of transportation and construction once at the site. This put an incredible burden on the dealers. In some instances, dealers needed to have an excess of $100,000 or more to cover such expenditures. The only way in which dealers were able to meet this requirement was to find clients with complete financing for their home. This was a rarity, and many dealers were not able to meet the required funding themselves which then slowed production even further. 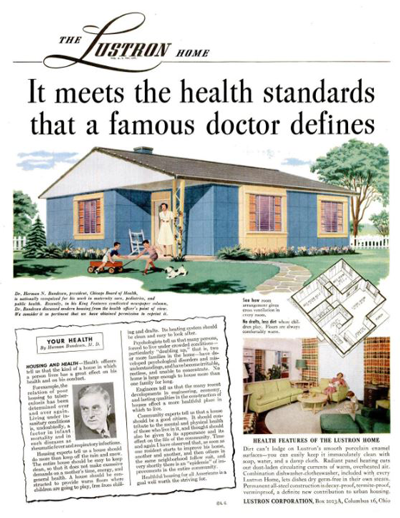 By 1950, the Lustron Corporation was losing up to $1 million a month. Already over $32.5 million in debt to the RFC, making their involvement with Lustron the largest peacetime venture in prefabricated housing, Lustron was fading fast. There were several calls for Strandlund’s resignation. National business magazines such as Time, Newsweek and Business Week reported on the Lustron endeavor purely as a fiasco and a waste of tax dollars. The week of February 25, 1950, the Reconstruction Finance Corporation filed suit for foreclosure against the Lustron Corporation for default on $22 million of loans. In addition, several dealerships had gone bankrupt and had filed suit against Lustron. 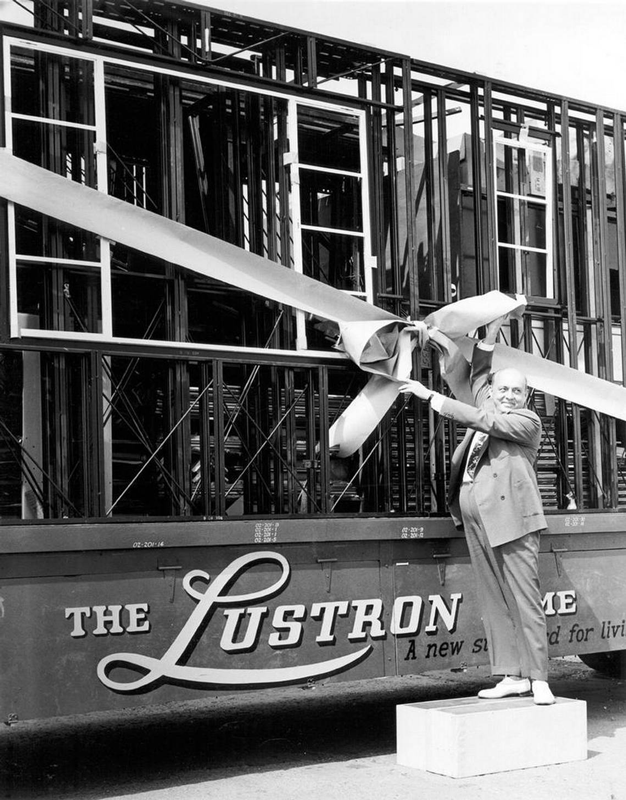 In July of 1951, the Lustron plant was opened one last time to sell off, “…remnants of [the] Lustron dream,” in order to pay the lawsuit settlement. With fewer than 3,000 homes constructed across the United States, Lustron was officially out of the prefabrication business. Although financially, Carl Strandlund was not able to manage the company into prosperity, through his dream he was able to make Americans reconsider the machine age and prefabricated housing. 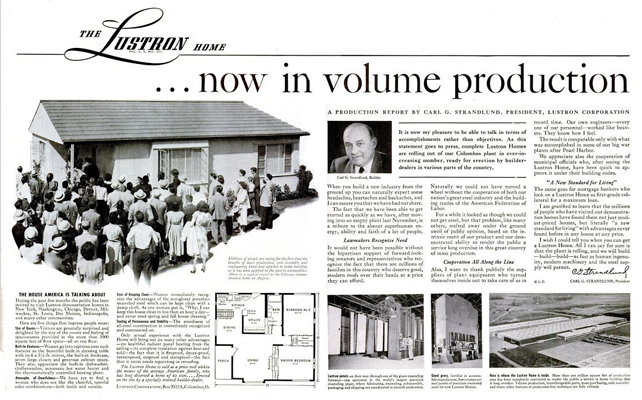 The fact remains that Lustron was positively viewed by a vast public. 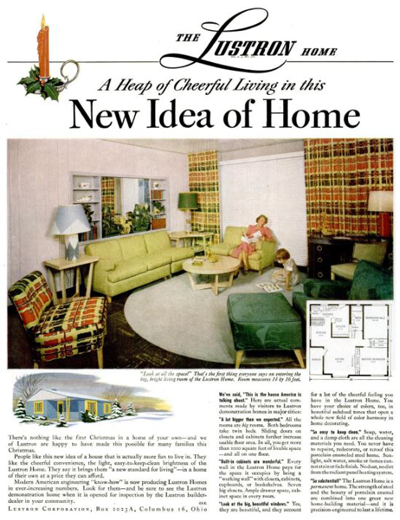 There was a time in the manufacture of the Lustron home that production could not meet demand. Some of the Lustron ideas were radical for their time but were accepted by a public ready to move into the modern age. Would Lustron have been successful had it not been for the housing crisis? Probably not. 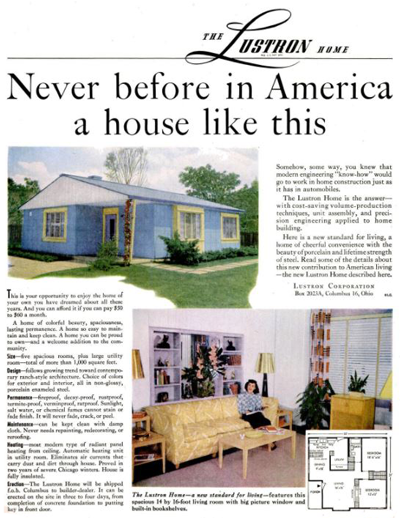 If the idea had been introduced a decade earlier along with such models manufactured by American Homes and General Houses, we would probably not even see the scattering of Lustron houses across the country that we do today. The housing crisis was paramount in opening the eyes of the public to prefabrication, but the general mood of the country after the war was also a positive aspect of the relative success of such a new and modern housing type. In addition, the capital produced by the Reconstruction Finance Corporation made it possible for Lustron to reach the American people in their own cities and through heavy media attention. Lustron in Surf Blue. (Courtesy of Indiana Landmarks). Lustron in Maize Yellow. (Gray and Yellow courtesy of RoadsideAmerica.com). Lustron in Desert Tan. (Courtesy the Kansas Historic Resources Inventory). Check out the film, Lustron: The House American’s Been Waiting For by KDN films. Find out more information here including how to purchase a copy. Another great resource is the book The Lustron Home: The History of a Postwar Prefabricated Housing Experiment by Thomas T. Fetters. You can buy a copy here.